Twin issues of unemployment and drug addiction have plagued the youth of Punjab for many years. While the ruling party and the opposition are into a slanging match with both hurling statistics to buttress their claims, the reality of mounting unemployment is leaving the youths in a state of utter despair. Unemployment in Punjab is increasing at a fast clip as thousands of educated rural youths migrate to cities in search of corporate jobs in the private sector. The problem of unemployment is being compounded in the absence of a holistic and multipronged strategy to negotiate the growing menace. According to NSSO estimates (68th Round), the overall unemployment rate in Punjab is 3%, while it is 7.7% among the rural youth (15-29 years) and 6.3% among urban youth (15-29 years). Almost 72% of the job seekers in Punjab are educated, out of which 78% are non-technical and 22% are technically qualified personnel. The growing numbers of educated unemployed youth are giving jitters to the policy makers. What is needed is a visionary strategy to absorb a major proportion of the educated unemployed who possess a range of technical and soft skills catering to the diverse requirements of industries. Small and medium-sized holdings predominate the agricultural scene in rural Punjab. The marginal holdings in the farm sector have failed to attract the educated rural youth who aspire for white collar jobs in cities that don't involve physical labour. Moreover, after the mechanisation of agriculture, it is difficult to employ thousands of literate and semi-education youth who have no options but to migrate to major cities for jobs. Punjab is on the cusp of a critical phase in economic development which is drastically changing the rural employment scenario. Rural Punjab has been exposed to modern education, social media and latest programmes in TV channels which usher in marked changes in the aspirations of the youth here. The state government finds it very difficult to create employment opportunities in the villages that meet the modern aspirations of literate, semi-educated and highly educated youth. The unemployed rural educated youth constitute nearly 54% of the total rural unemployed in the state. 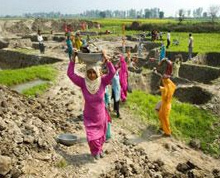 The educated but jobless youth in the countryside are reluctant to take up employment that requires hard, physical labour as in MGNREGA projects. Owning small farm holdings, they are not enthusiastic about tilling the land which involves hard labour and fetches them meagre returns. They may instead prefer to sell their small holdings and explore employment options in urban areas. Ironically, of late, the average holding size has increased from 2.5 acres to 3.7 acres in Punjab. One of the reasons for this is that marginal farms are being sold by the educated youth, and these are being grabbed up either by small and medium farmers or by urban developers. Educated youth in rural areas sell their farm holdings in the hope of alternate employment in the urban centres. Though they desire white collar jobs, they possess inadequate skills to secure them, and this causes discontent and frustration amongst them. It is to be mentioned that rural educated youth don't have proper technical or communication skills nor acquainted with the arduous labour. Hence, they cannot be easily employed in high-tech industries. The information and technology (IT) sector, which apparently seems to have caught the fancy of the state government, is least suited for absorbing the educated rural youth in Punjab. Two contrasting Punjabs seem to be existing side by side when it comes to money power. One is facing its worst unemployment crisis and the other that is spending extravagantly. As on March 2015, there are 3,65,771 unemployed people registered at the employment exchange in Punjab. But the aggregate number of unemployed people throughout Punjab is expected to have crossed over 4 lakh and the figure is set to climb sharply if the government does not act fast to solve this social menace. An RTI reply had revealed that only a paltry 352 unemployed people had been receiving a monthly allowance. The grant has been fixed at Rs 150 for those who are matric pass and Rs 200 for those who have studied up to class 12. However, according to the Economic Survey 2014-15, the average per capita income expenditure for the ruralites has now shot up to Rs 2,345 per month, only behind Kerala at Rs 2,630. This comes as no surprise as most residents in rural areas make trips to foreign countries, either for a vacation or jobs and purchasing big cars. Around 23 lakh people across the rural belt of Sangrur, Moga, Jalandhar and Hoshiarpur had applied for fresh passports and 1.97 lakh from the same areas purchased two wheelers and four wheelers. Among urbanites, the expenditure is Rs 2,794 per month that is considered low when compared to other states. The government data also said that about 36,000-odd have been provided jobs through the employment exchange.The youth unemployment rate for the age group of 15-29 years is reeling at 7.7% in rural area and slightly less at 6.3% in urban Punjab. 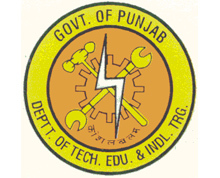 Punjab State Technical Education and Industrial Training department has roped in skill development agencies to train about one lakh unemployed youth. The state government will impart training to 21,750 youth in the first phase of the project. An action programme in this regard has been finalised by the technical education department. Chief Minister Parkash Singh Badal has instructed the officials to engage the best skill training and placement agencies for five upcoming Multi-Skill Development Centres (MSDCs) in Ludhiana, Jalandhar, Amritsar, Hoshiarpur and Patiala. These MSDCs will offer training in light engineering, hand tools, garment and fashion technology and welding, among others. Another MSDC is being planned at Anandpur Sahib. Besides, three skill development centres related to healthcare are being established in government medical colleges of Patiala, Amritsar and Faridkot. Likewise, the construction and building skill development centres will come up in Mohali, Ludhiana, Jalandhar and Amritsar. Training in driving and automotive skills will be imparted at centres being set up in Malerkotla and Kapurthala. Another batch of trainees would be imparted training in the field of animal husbandry and allied farming.